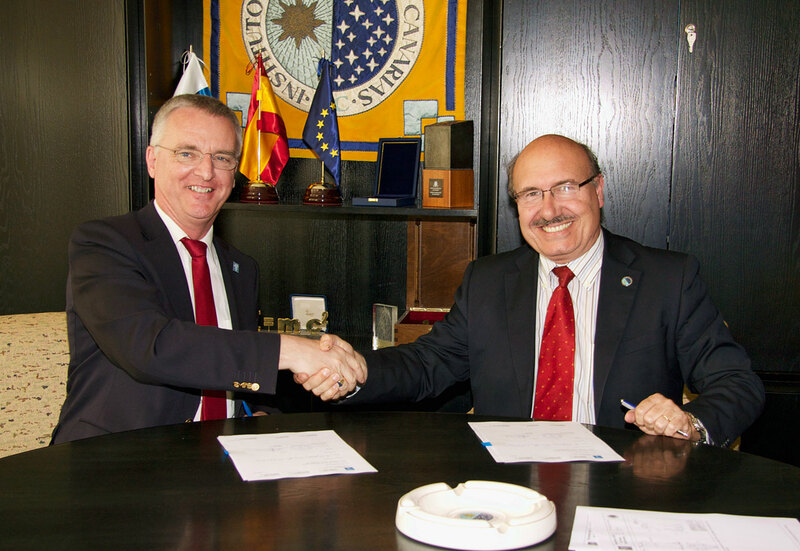 During the course of a visit by the ESO Director General, Tim de Zeeuw, to the Instituto de Astrofísica de Canarias (IAC) in La Laguna, Tenerife, Spain, an agreement was signed between ESO and the IAC to perform experiments at the Teide Observatory related to forefront technology in the field of laser guide stars for adaptive optics. This technique will shortly be used at the Gran Telescopio Canarias (GTC) and will be essential to the successful operation of the future 39-metre European Extremely Large Telescope (E-ELT) to be built by ESO in Chile. 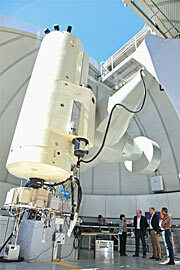 This collaboration between the IAC and ESO is intended to optimise aspects of laser guide star systems. These laser systems are some of the technology used in the technique of adaptive optics, which compensates for the atmospheric turbulence that affects ground-based observations. An artificial guide star is produced by shining a powerful laser into the sky — which acts as an artificial reference point from which light is returned back to Earth — helping to create images of astronomical objects as sharp as if the telescope were in space. 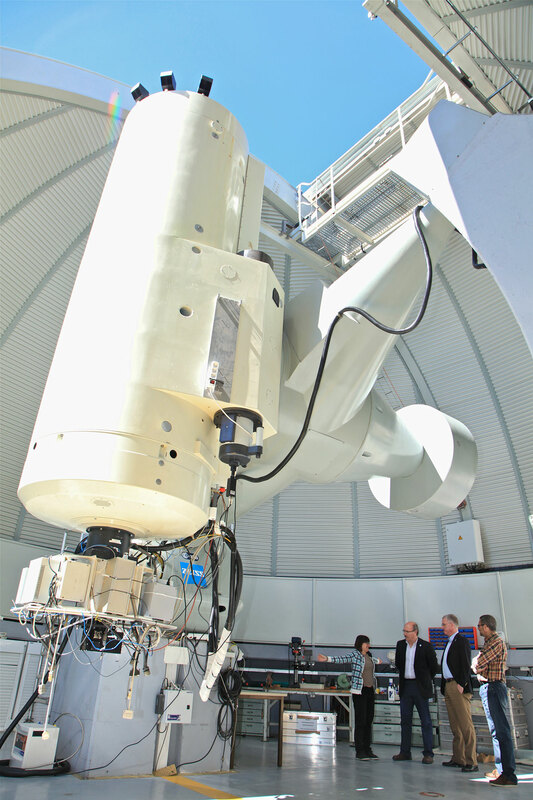 The lessons learned, together with the experience acquired by the IAC and ESO during more than ten years of work in this field, will be used when this technology is incorporated into the laser guide stars adaptive optics system of the GTC as well as future ESO telescopes. The project, which will operate for 27 months, will focus initially on determining the best laser parameters for generating the largest reflected light flux from these laser guide stars, with special attention being paid to the influence of the geomagnetic field.